There are few things better than a guest post from Tom LaRock, and that’s what we have today. Few people know SQL Server – and databases, for that matter – as well as Tom. He was President of the Professional Association for SQL Server, and his Twitter handle is @SQLRockstar, so that should give you an idea of where he’s coming from. Anyway, remember: you’re not hearing this from me. You’re hearing it from a SQL guy. There’s something you should know about relational databases. They were designed to store data efficiently, protecting the quality of the data as it was written and stored to disk. I’ve written before about relational engines favoring data quality and integrity, and how relational databases were not designed for the reading of data. Of course, if you are going through the trouble of writing the data into a relational database, it makes sense that you would want to retrieve the data at some point. Otherwise, why go through the exercise of storing the data inside the database? The trouble with reading data from a relational database is due to the data not being stored in a format that is friendly for viewing, reading, or retrieving. That’s why we have data professionals, like me, to help you write queries that return the correct data, in the correct format, for you to analyze. I’m here today to tell you we’ve been doing data wrong the whole damn time. The trouble with this process is with Step 3, the analyzing of the data. As luck would have it, relational databases were not designed for analytical processing. Relational databases do not store data in a way that is readable, or friendly, for human analysis. That’s not to say you can’t do analytics inside of a relational database. What I am saying is that it could be better for you not to spin the CPU cycles there, and instead do the analytics somewhere else. For example, data warehouses are used to help with data storage, retrieval, and analytics. But even a data warehouse can fall short when it comes to the use of unstructured data sources. As a result, we’ve spent decades building ETL processes to curate, collate, consolidate, and consume data. And we’ve been doing it wrong. So, we understand that people find data, store it, and try to use it later. They are engaging in the process of data mining, hoping to find gold in the form of insights, leading to better business decisions. But as I mentioned before, the data isn’t in a readable format. Let’s look at an example. Nothing out of place here, this is how data gets stored inside a relational database. In an orderly fashion. As a DBA, I love this type of orderly storage. It’s meant to be efficient, and efficient is good. As a data analyst, I’m not a fan. At least, not yet. I have a bunch of data, but what I want are some answers. So, it’s up to me to ask some questions of the data, find some answers, and use that to help make better business decisions. This is great! I was able to take my data, ask a question, and get an answer. What could be better, right? Of course, now I have more questions about my data. And here’s the first issue you will discover when trying to analyze data stored in a traditional relational database. T-SQL is excellent at answering one question at a time, but not as great when you need more than one question answered. So, if we have more questions, we will need to write more queries. Here’s a good follow-up question that we might want to be answered: Can we examine this data broken down by each quarter? And not readable, either. What’s with that row saying NULL? Why do I not have a result for some teams in that last column? As it turns out, you need a lot of experience writing T-SQL to get to that query. And you need more experience understanding the result set, too. You don’t start on Day 0 as a data professional writing PIVOT queries against a SQL Server database. Here’s the good news: You don’t need to write PIVOT queries, ever. The data import from NFL Savant was in the form of a CSV file, which I then imported into my database. Because that’s how most ETL is done (see above for the common data flow process). What if…now hear me out…we skipped step 2? Forget about doing the import process. Instead, let’s open that CSV file in Excel. Back to our football questions. We’ve seen examples in T-SQL, let’s look at how to do this in Excel using a Pivot table. 1. No T-SQL was needed. None. Not one line of code. 2. I have the entire table as a pivot table, allowing me to answer more questions WITHOUT needing to write more T-SQL. 3. There is no code. None. There is no need to rewrite code to get this result. Because there is no code, it’s drag and drop, and then I have my answer. And that’s why I believe the inclusion of pivot table inside Excel is the greatest advancement in the 21st century for data professionals. I did not come here to bury relational databases. I came here to help you understand relational databases may not be the right place to do analytical processing. 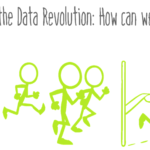 Rule #1 – Only collect data that you need. Don’t collect data “just in case you may need it later.” The data you collect must be relevant for your needs right now. Rule #2 – Understand that all data is dirty. You could build a perfect analytical solution but based on inaccurate data. Know the risks involved in making business decisions based on dirty data. Rule #3 – Before you collect any data, consider where the data will be processed. Don’t just assume that your database will do everything you need. Take time to list out all the available tools and systems at your disposal. The result may be a simpler solution than first imagined. It’s Rule #3 that this post was meant to help you understand today. Analysis of NFL play by play data is best done in a tool such as Excel, or PowerBI, and not (necessarily) inside of SQL Server. SQL Server is a robust relational database engine, containing integrations with data science-y stuff such as R and Python. Just because you could do your analysis inside the SQL Server engine doesn’t mean you should. I LOVE POWER PIVOT. OMG. It is the best tool ever. I mean ever!!!! I have been working for 20+ years and this is the first time I have enjoyed what I am doing. All due to Power Pivot tables 🙂 Great read. Thanks Thomas! A thoughtful, articulate post and right to the point! I would condense steps 1 and 2. The useful data is already in your organization from OLTP systems and already in data format. And analysis already takes place for the core operational activities the OLTP was designed for. 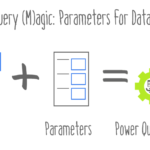 next post: Power Query (M)agic: Parameters for Dataflows!